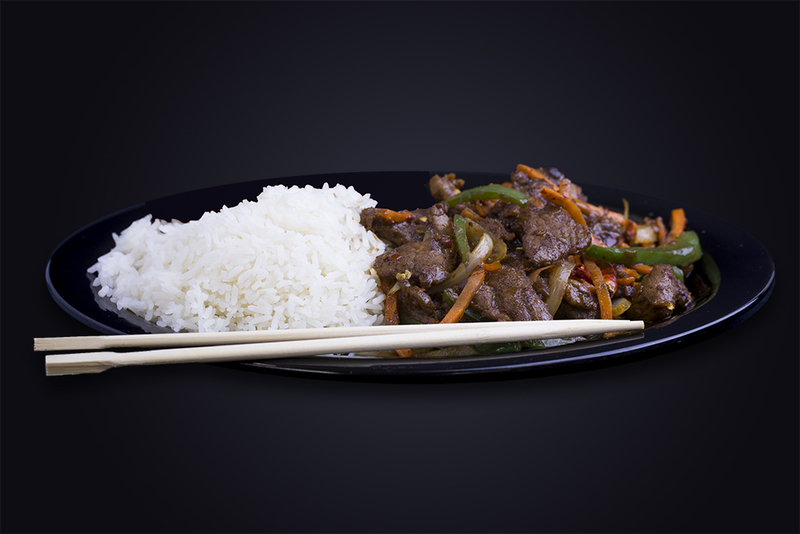 This specialty plate is made with beef, julianne bell peppers, carrots, onions, honey soy, and chili peppers. Served with fried rice, egg roll or 2 stuffed crab rangoon, soup and drink. **This lunch special price is only available on Mondays.